CBS Greenlights New Sherlock Series ELEMENTARY | Birth.Movies.Death. Sherlocks everywhere! Sherlocks as far as the eye can see! Our most recent Hall of Fame inductee is having a banner week, with the excellent BBC series officially renewed for a third year and now the news that CBS has ordered the pilot of a series called Elementary, placing the alarmingly shrewd detective in modern day New York. The series will be from Sarah Timberland (Kidnapped, Justified, Unforgettable) and Carl Beverly (the same three shows) as executive producers, and written and exec produced by Robert Doherty (Tru Calling, Medium, Ringer). Frankly, I'm for more Sherlock everywhere, everywhere! (Well, perhaps no more of the big screen RDJ/Guy Ritchie Sherlock.) They can do whatever they like with Elementary, with the understanding that it's dubious the show will reach the deliciously crisp heights of the BBC series from Mark Gatiss (who plays Mycroft on the show and is responsible for some of the writing on the gloriously despicable Nighty Night) and Steven Moffat of Dr. Who and The Adventures of Tintin writing fame. 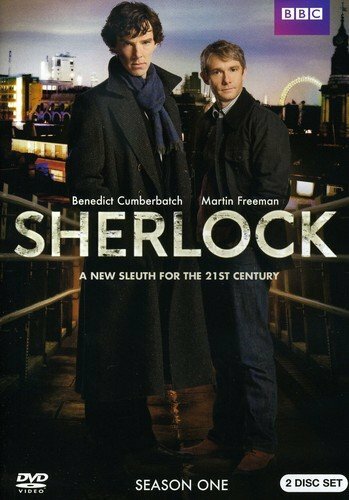 Good luck finding a better Sherlock than Benedict Cumberbatch and a better Watson than Martin Freeman, CBS! That said: I'll check it out. I love me some Sherlock.